What's all this fuss about futsal? First there was rugby, then football, now futsal. Futsal is a modified form of football played on a smaller pitch and mainly indoors with five players per side. First originating in Uruguay by Juan Carlos Ceriani Gravier, a teacher in Montevideo, Uruguay in the 1930s, the sport now has an international presence. Futsal comes from Spanish fútbol sala meaning “room football.” Futsal was originally developed for playing on basketball courts, with the idea that the sport could be played indoor or outdoor. FIFA introduced futsal as a new sport in 1988 and held its first futsal World Cup in 1989. Futsal gained popularity quickly throughout Europe and the number countries playing increased considerably during the 1990s. 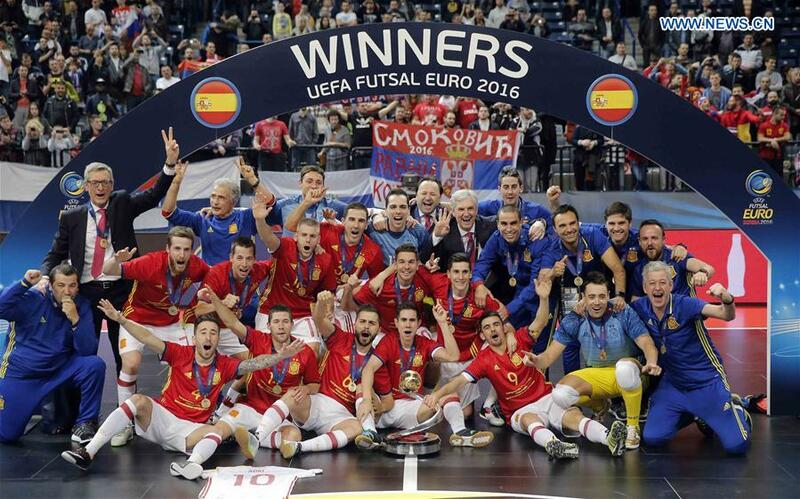 After years of development, in 1996 the UEFA Futsal Championship was created. This European competition pulls one team from each participating country. Since the beginning of the tournament Spain has been a dominating force and recently the country claimed the 2016 title. The 2016 tournament was held in Serbia from February 2-13. Just like any sport, futsal also has extremely talented players. 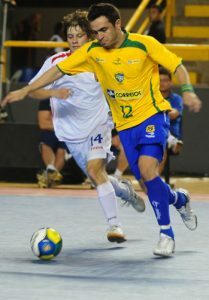 Alessandro Rosa Vieira, who is better known as Falcao, is a Brazilian futsal player who always dreamed of moving into football but now has made a name for himself on the indoor courts. Another star, Ricardinho, is a Portuguese professional futsal player who plays for Spanish club Inter Movistar and the Portugal national team. He is known for his footwork on the court and his performance in the 2016 Euro Cup in Serbia. The sport has been credited as a key part of many professional players early development. Futsal is used as development tool for younger players before they begin to play on full size outdoor pitches. While many players move into football, a recent trend has led players to continue playing on the indoor courts. For this reason, futsal as a sport has expanded. The UEFA Futsal Championship is the main futsal competition of the men’s national futsal teams governed by UEFA (the Union of European Football Associations).